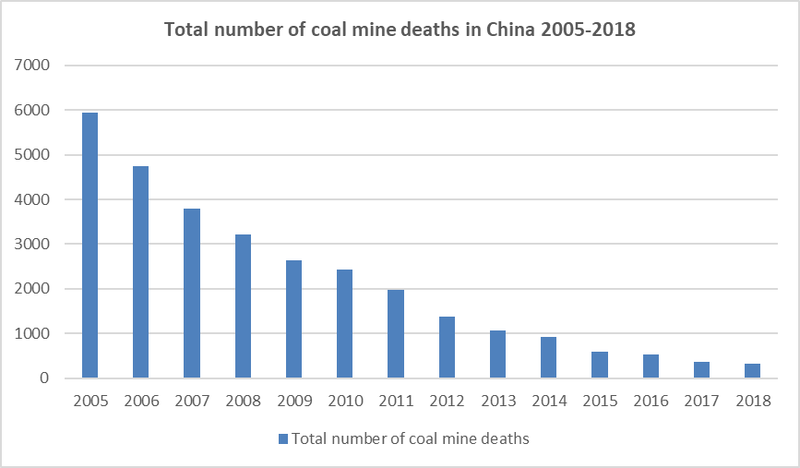 The number of coal mine deaths in China declined by 13.1 percent last year to stand at 333. The total number of accidents fell by just 0.9 percent to 224. The majority of these accidents involved less than ten fatalities, and officials noted that there had been no accidents involving more than 30 deaths for the last 25 months.